Vernee is an active smartphone manufacturer from China. It follows the latest trends in the market, so you can find bezel-less phone Vernee Mix 2, flagship – Vernee Mars pro and even a smartphone with large 6200 mAh battery Vernee Thor Plus. Nevertheless, until today Vernee has not released rugged smartphones. Please, meet, Vernee Active! 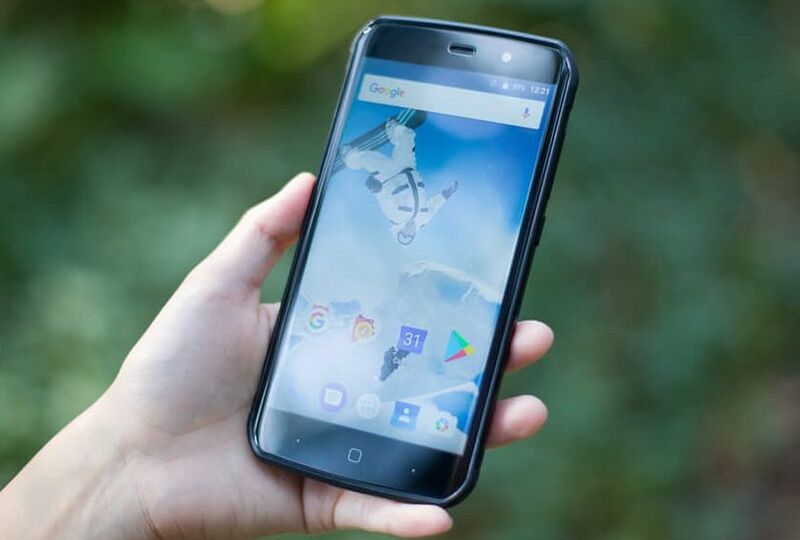 The first rugged smartphone from Vernee with a very stylish design and powerful hardware. We already know all details about this smartphone, so I’m ready to do a first review of features and specifications. 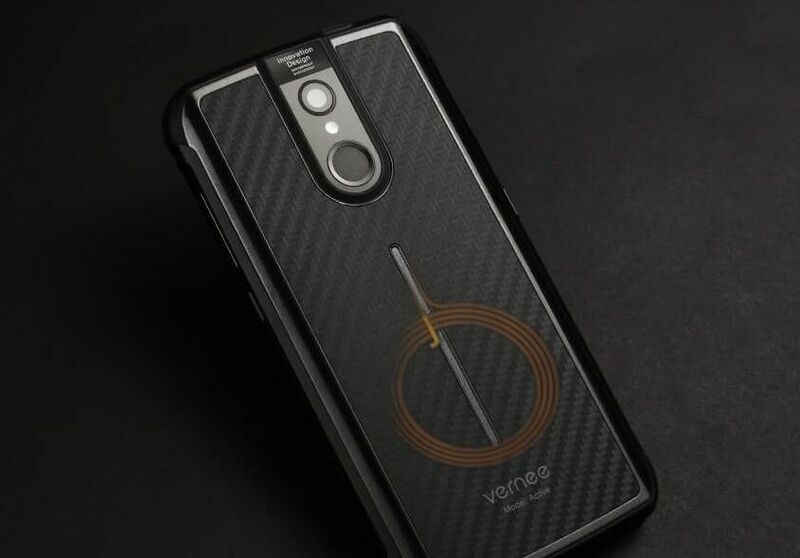 The front panel of Vernee Active does not say that it’s a rugged phone. Here we see 5.5 inch screen with Full HD resolution, made by JDI InCell technology. Also the display is covered with 2.5D glass. Under the screen you can see on-screen buttons, while at the top there is front camera, talking speaker and sensors. Unlike many other rugged phones, the front panel of Vernee Active is common, without any metal or rubberized inserts. But, if you look at the back panel, you will see that it is really rugged smartphone. It seems that the rear panel has a rubberized coating, as well as metal inserts at the edges and camera area. 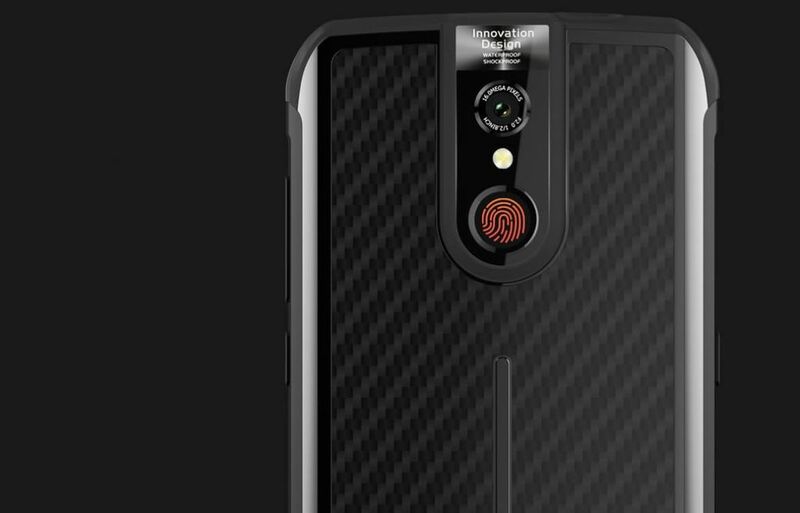 Here we see the main camera, LED flash and fingerprint scanner. Also you should pay attention to the bottom part. USB port is closed with a plug to protect from water. Vernee Active has IP68 rating. It means that it is water-proof, dust-proof and drop-proof. By the way, it has drop resistance from six sides. Vernee says that it is the lighter and slimmer rugged phone on the market. 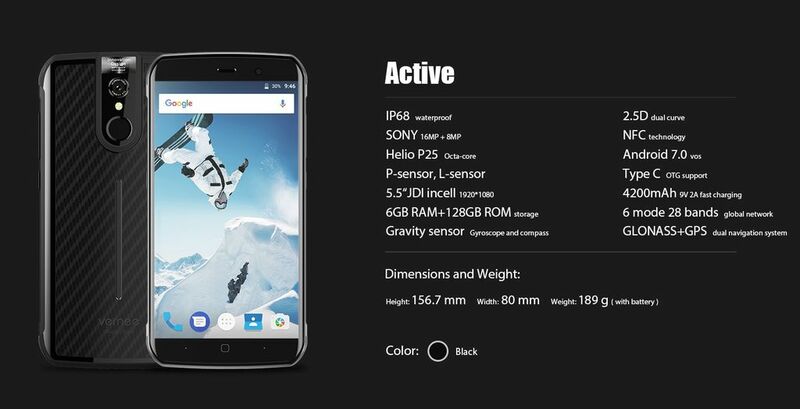 As for the hardware, Vernee Active is really powerful smartphone. It has MediaTek Helio P25 chipset, 6GB of RAM and 128GB of storage. As you know, Helio P25 is mid-range processor. It shows about 60 thousand points in AnTuTu. Also new Vernee phone runs on Android 7.0 with VOS on top. This is user interface from Vernee that doesn’t differ much from stock Android. The smartphone comes with single 16MP rear camera from Sony, and 8MP front camera. It supports PDAF technology and f/2.2 aperture. I cannot talk about camera until see real sample photos. I hope to receive this smartphone for full review and test camera. Also Vernee Company is very proud for the battery for Vernee Active smartphone. It has a capacity of 4200mAh and fast charging technology VOS. 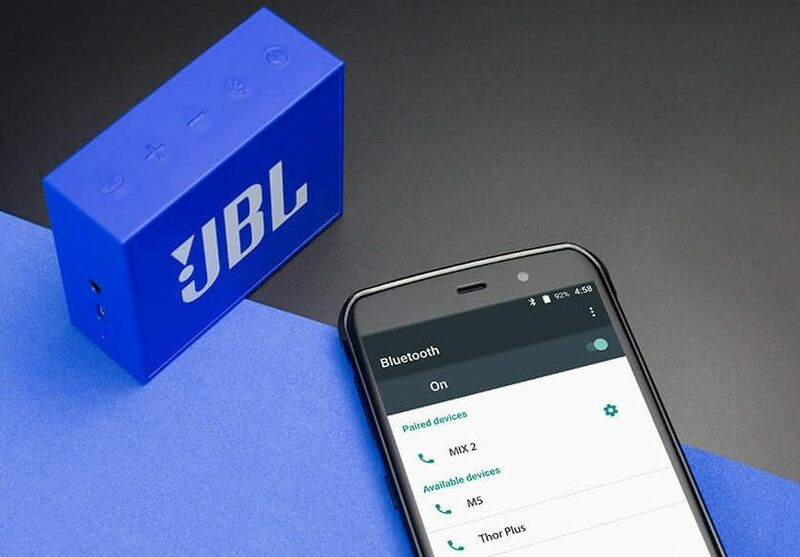 The smartphone can standby up to 580 hours. While daily using Vernee active works about 2 and a half days. By the way, Vernee Active has a special button on the right side. It activates endurance mode, which extends battery life. Of course, new smartphone supports 28 global 4G LTE bands network. It means that you can use 4G in most countries around the world. Another connections are dual band Wi-Fi, Bluetooth 4.0 and NFC. 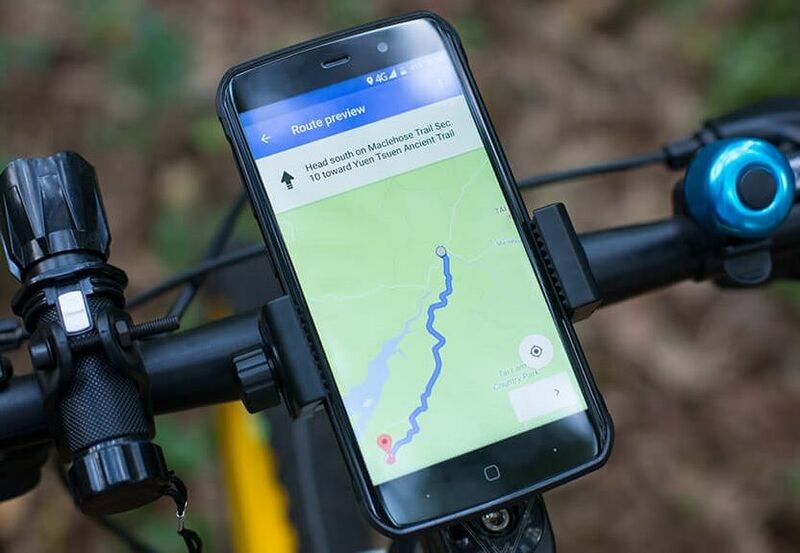 Of course, rugged smartphone should have good navigation system, and GPS plus Glonass provides fast and accurate positioning. 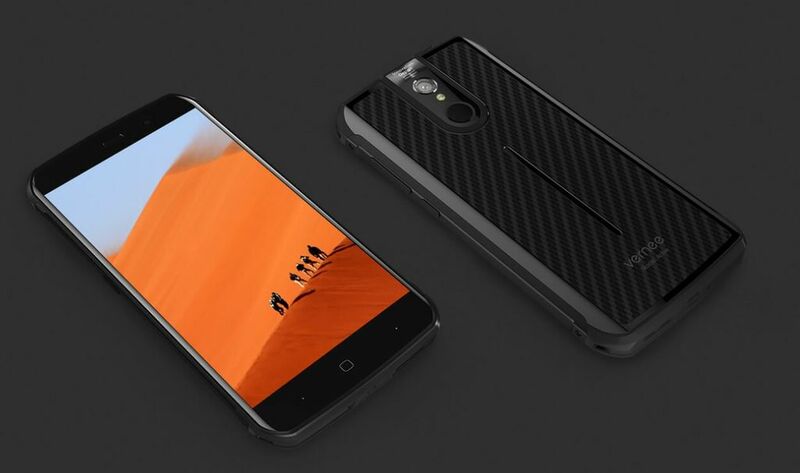 Vernee Active is very interesting rugged smartphone. It has very stylish design. Also manufacturer says that it is the slimmest and lighter rugged phone ever. Inside the smartphone there is good hardware, big battery and 16MP main camera. At the moment we don’t know the price and release date. I will add links under this video, when it will go on sale.